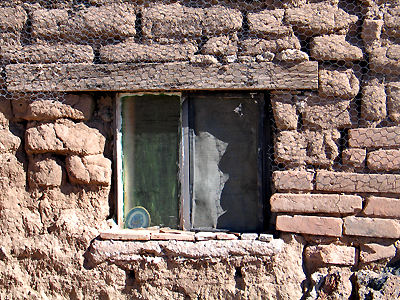 Here’s a well-maintained adobe building co-habitating with the remains of an old adobe structure. 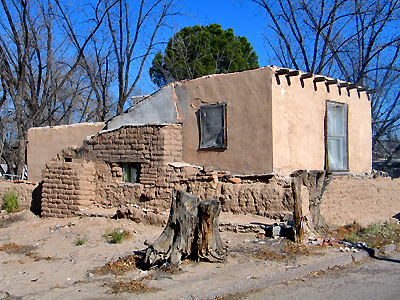 This kind of thing can be seen around Mesilla because most owners don’t want to demolish this historical heritage. In recognition of this preference, Mesilla has a city ordinance against removing old adobe structures. 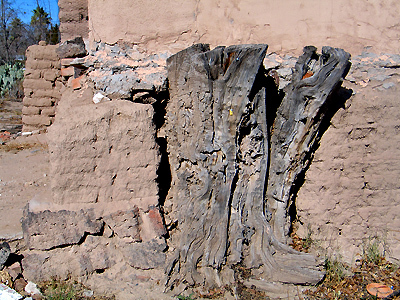 This tree was undoubtedly alive when it was incorporated into this adobe wall. So we have duple embeds: tree in wall, wall in building. Or do we have tree in building, building in wall?